The FDA would also tighten its regulation of mammogram facilities, giving the agency the power to notify patients if problems are found at a center so that repeat mammograms can be done at another certified center. "The steps we are announcing today are intended to modernize breast cancer screening and help empower patients with more information when they are considering important decisions regarding their breast health care," FDA Commissioner Dr. Scott Gottlieb said during a Wednesday morning media briefing. Not only is dense breast tissue a risk factor for breast cancer, but mammograms can be difficult to interpret because dense tissue can obscure signs of breast cancer, Dr. Amy Abernethy, principal deputy commissioner at the FDA, explained during the briefing. "For women with dense breasts, they should talk with their health care provider about their high breast density and how it relates to breast cancer risk and their individual situation," Abernethy said. "Given that more than half of women over the age of 40 in the United States have dense breasts, helping to ensure patient access to information about the impact that breast density and other factors can have on the risk for developing breast cancer is an important part of a comprehensive breast health strategy." However, one breast cancer expert noted that many women are already being informed about their breast density. "The FDA's proposed amendment is in keeping with the 37 states and District of Columbia, which currently require that patients be informed about breast density," said Dr. Laurie Margolies, section chief of breast imaging at Mount Sinai Health System, in New York City. "Mammography has been proven to save lives," Margolies added. "Supplemental screening finds additional cancers in women with negative mammograms. Hopefully, the FDA regulations will mandate [insurance company] payment for supplemental screening so those women who want the extra screening can avail themselves of it." Another breast cancer expert welcomed the proposed rules. "Mammography is regulated by the federal government as it should be, and the fact that new guidelines and standards are being asked for is a very good thing in my opinion. It is probably overdue," said Dr. Alice Police, Westchester regional director of breast surgery at Northwell Health Cancer Institute, in Sleepy Hollow, N.Y.
"Improvements in technology have made mammography better, and no patient should be stuck with inferior equipment or techniques," Police said. The new rules mark the first time in more than 20 years that the FDA has proposed changes to key regulations for mammography facilities. Another proposed rule meant to provide more information to health care providers would add three additional categories for the assessments of mammograms, including one called "known biopsy proven malignancy," which would alert health care providers about cases where cancer being evaluated by mammogram for treatment is already known and identified. 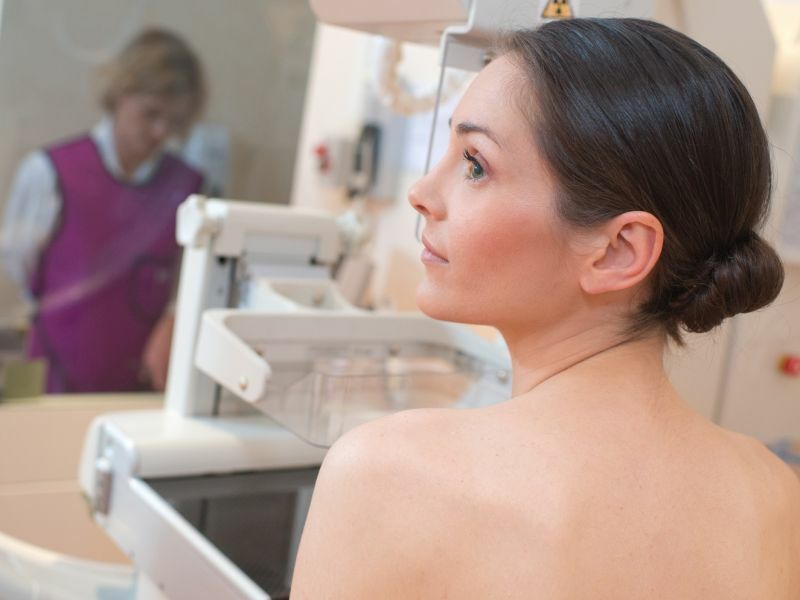 Under the proposed changes, patients and health care providers would also be given more detailed information about the mammography facility they use, the FDA said. Proposed changes meant to update mammography quality standards and better enable the FDA to enforce regulations and take action against violators include giving the agency the power to "directly notify patients and their health care professionals, should facilities be unwilling or unable to do so, that mammography at a facility did not meet quality standards and that reevaluation or repeat of the mammogram at another certified facility may be needed." The proposed changes are available online at www.regulations.gov for public comment for 90 days after publication. Breast cancer is the second most common cancer in American women and the second leading cause of death. About 12.4 percent of women will be diagnosed with breast cancer, according to the U.S. National Cancer Institute. It said that in 2018, more than 260,000 women in the U.S. were diagnosed with breast cancer and more than 40,920 women died of the disease. That Was FDA Says Breast Density Must Be Reported to Women During Mammograms, Hopefully it's useful and you like it.